We all know very well that the vast majority of users do not have SSDs over 500GB because of the exorbitant prices of these drives. But, the technologies that increase the capacity of SSDs continue to emerge. 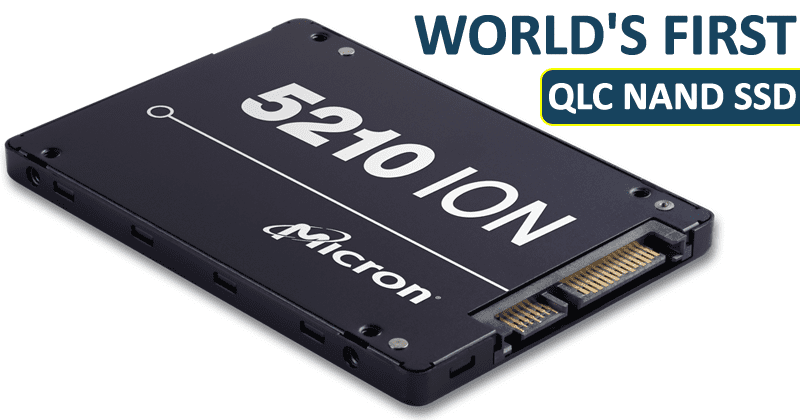 However, now according to the latest reports, recently, the giant chip manufacturer Intel and Micron just launched world’s first QLC NAND SSD. The vast majority of users do not have SSDs over 500GB because of the exorbitant prices of these drives. Technologies that increase the capacity of SSDs continue to emerge. Micron, for example, has just announced the 5210 ION, the first commercial-scale model to be based on QLC NAND chips. SLC: 1 bit per cell. The more bits, the greater the density of the memory chip, which means that the storage capacity increases. 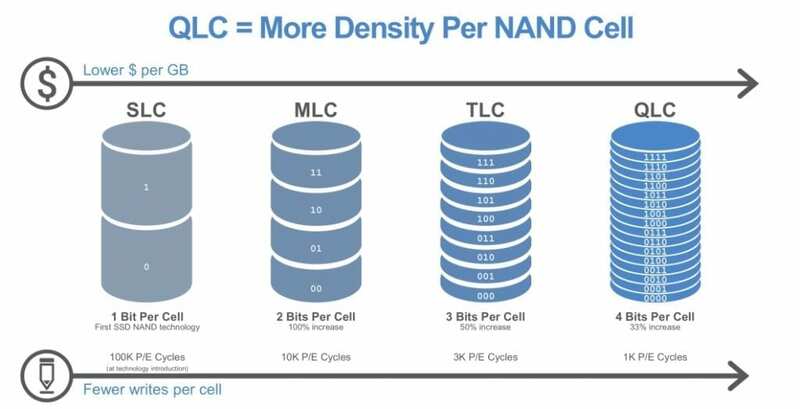 In this account it is also necessary to consider the number of layers of cells: the result of a partnership between Micron and the giant chip manufacturer Intel, the 5210 ION works with 64 QLC layers, which results in storage capacities ranging from 1.92 TB to 7.68 TB. Details such as read and write data rates have not yet been reported. However, it is known that the new SSD should have an estimated life in a thousand write cycles, but this is an inherent feature of QLC NAND technology, not the model itself. It is little if you take into account that TLC chips can support at least 5,000 cycles, however, Micron implies that the number of cycles of the 5210 ION is sufficient for demanding applications. Either way, the company will give the model five-year warranty. Now comes the cold water bucket: despite being the 2.5-inch format and 6 Gb/s SATA standard, the ION 5210 line is targeted to professional servers and applications, which is why it will only be available to “selected customers” from August. The price per unit was not revealed yet.